Operating an e-commerce business is full of challenges, but also offers excellent rewards. Allstate Moving Systems offers a solution to defeat one of your biggest challenges—order fulfillment. While you may want to improve order efficiency, you cannot afford to sacrifice accuracy. Allstate Moving Systems offers complete direct order fulfillment with superior accuracy. Allstate’s flexible fulfillment solutions are designed to fit your specific business needs. 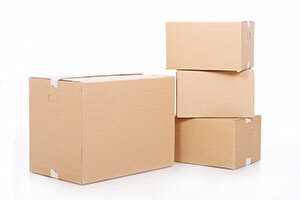 We take care of warehousing of your merchandise to keep it safe and secure. Then, our team can pick, pack and ship—handling your orders from start to finish. We can integrate our system with your e-commerce website, so you can automatically send orders to our shipping floor. Or, you can place orders directly from our web-based site. In either case, our real-time inventory management system allows you to keep track of your inventory levels at any given time. Our shipment is by best carrier method or your chosen carrier. When possible, we pick, pack and ship on the same day, to improve your customer service and help your business grow. Allstate Moving Systems has been in the moving, transport, shipping and logistics business for over 50 years. We have perfected our techniques and honed our skills so we can give you the best quality service possible. Our goal is always your satisfaction. We will work with you to provide you the flexible order fulfillment services you need. If you would like more information about our order fulfillment services, we encourage you to request a quote online today. We would love to show you how we can free up your time and space so you can focus on your company’s growth and expansion.